Archive Password Recovery to unlock password protected archives. Recover forgotten password for RAR, 7z and Zip archives. This program is the solution when you forgot the password for a compressed archive (RAR, 7z, zip). This program uses a brute-force algorithm to recover the correct password. Specific characters of the forgotten password can be defined to speed up the operation. Note: Please use this program only for it’s intended purpose (password recovery)! This program is optimized for low CPU power consumption, therefore no quick results can be expected. 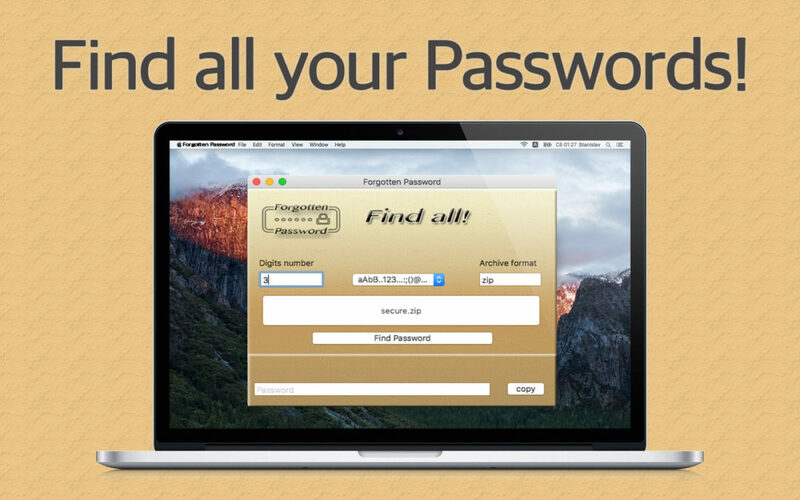 We recommend using this tool for up to 6 digit passwords.